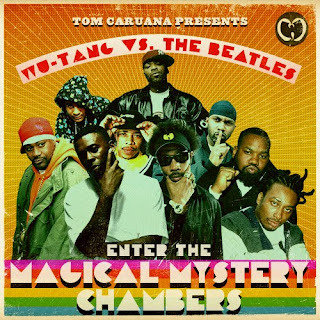 For Tom Caruana's latest offering he's thrown a load of Wu accapellas at some incredibly sick beats he's made using Beatles samples. Don't be thinking "But I know all Wu's material" 'cause this features verses from solo projects and more slept on joints from the later albums, which is a good thing. If you produce and want to be associated with Caruana's quality seal, take advantage of the opportunity to get involved with the remix project he's got going over at Tea Sea Records.